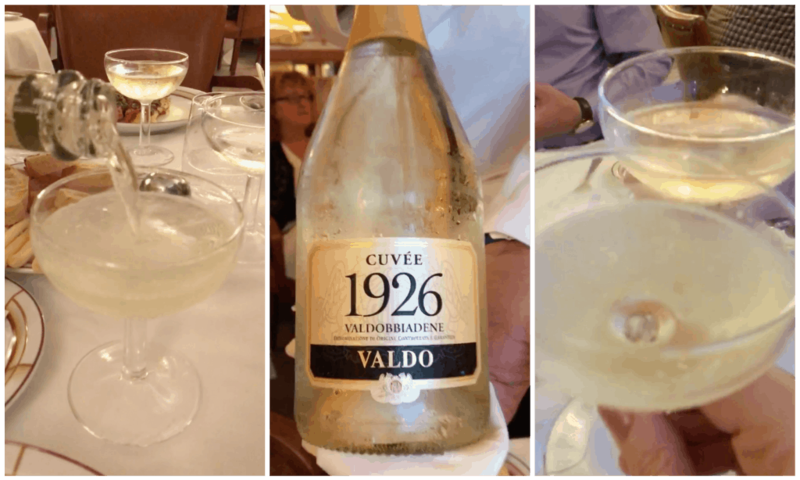 Valdo Prosecco hosted a contest to win a trip to Venice with a day at Valdobbiadene vineyards and I won! 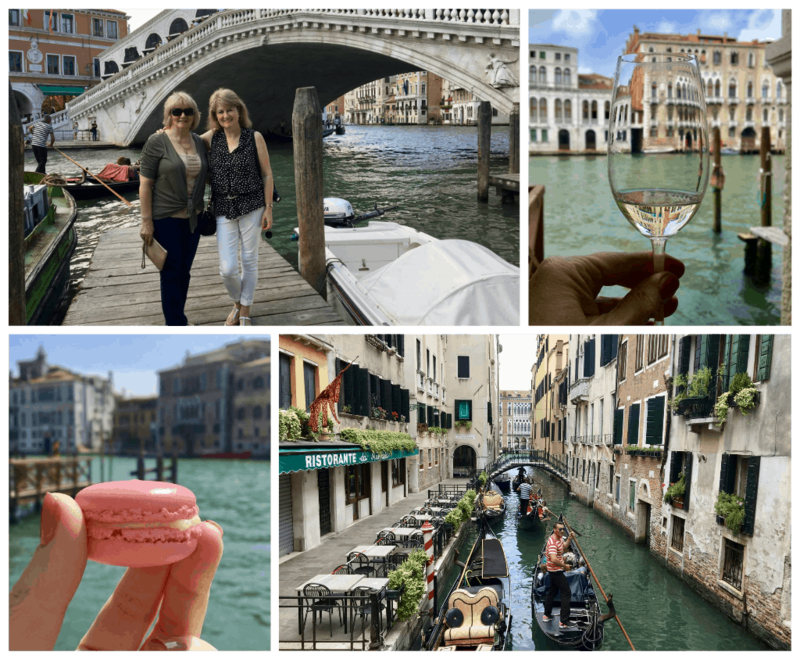 This is an overview of my time in Venice (day trip to the vineyard to follow). 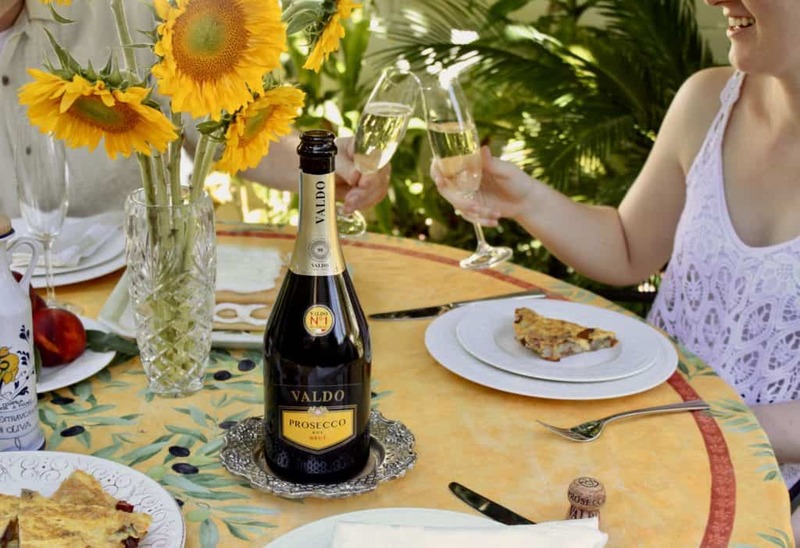 If you follow me on Facebook, you may recall me asking your advice last year for a Valdo Prosecco photo contest. Well, I took the advice of the majority of you on which photo to enter, and won the contest! 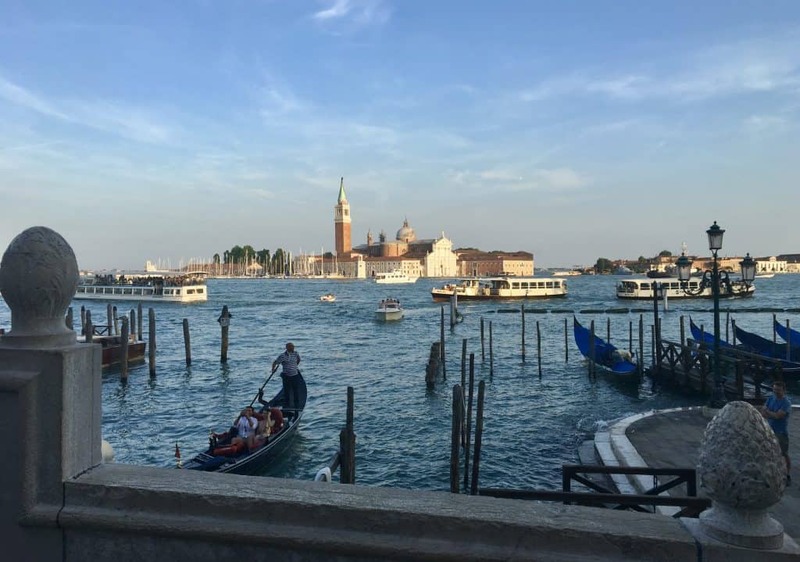 The prize was a trip to Venice, Italy for two! Thank you to those of you who voted as this trip was absolutely brilliant! Here is my winning shot. 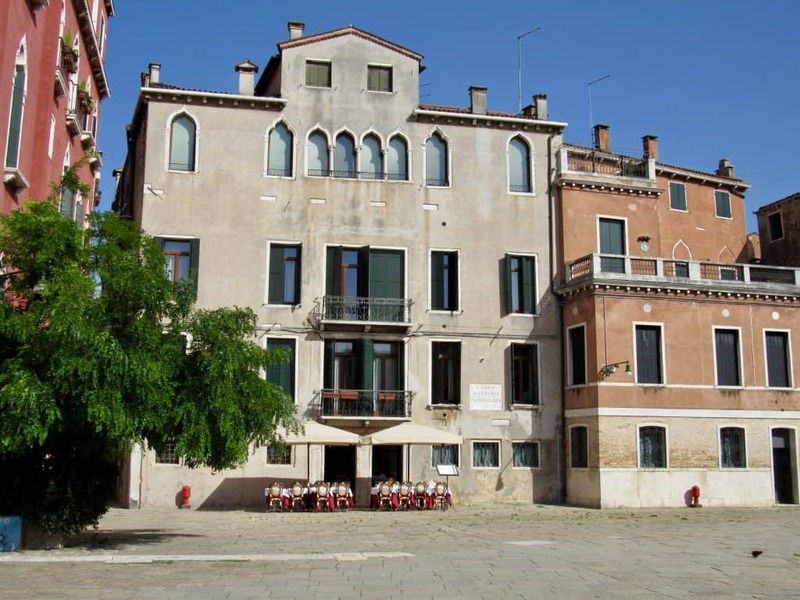 The trip I won included three nights at the upscale Palazzina Hotel. 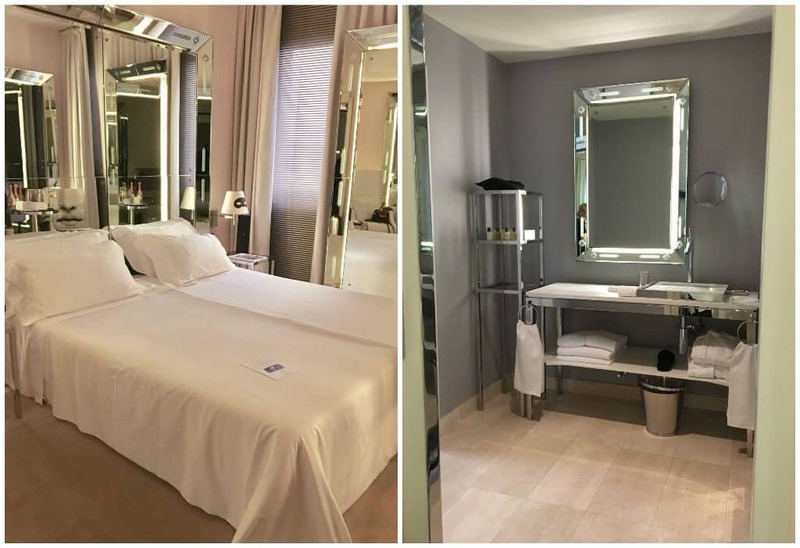 It was very modern and stylish (designed by Phillipe Starck) and in a fantastic central location. 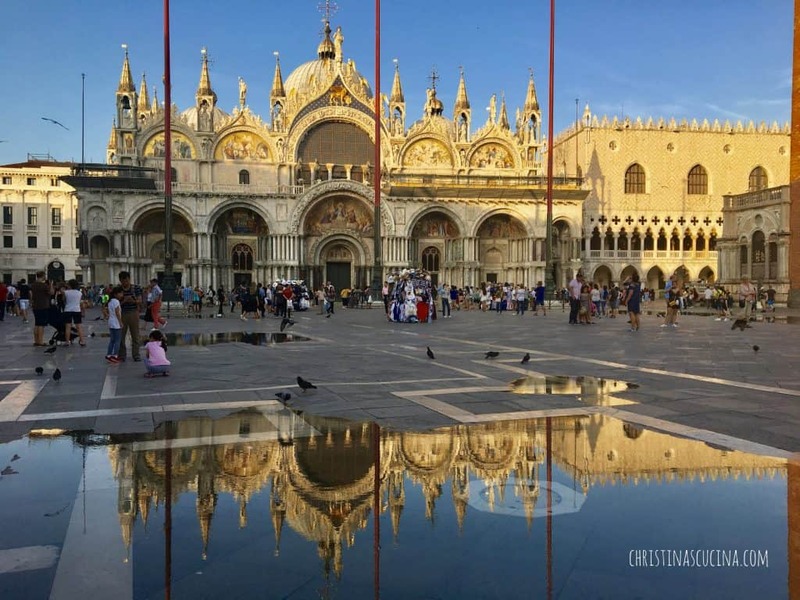 St. Mark’s Square was only a 10 minute walk away. Valdo actually held two contests. The other winner was Chloe B. Arnold (Beyond Blessed) from New York who traveled with her husband, Caleb, and new baby, Cayson. 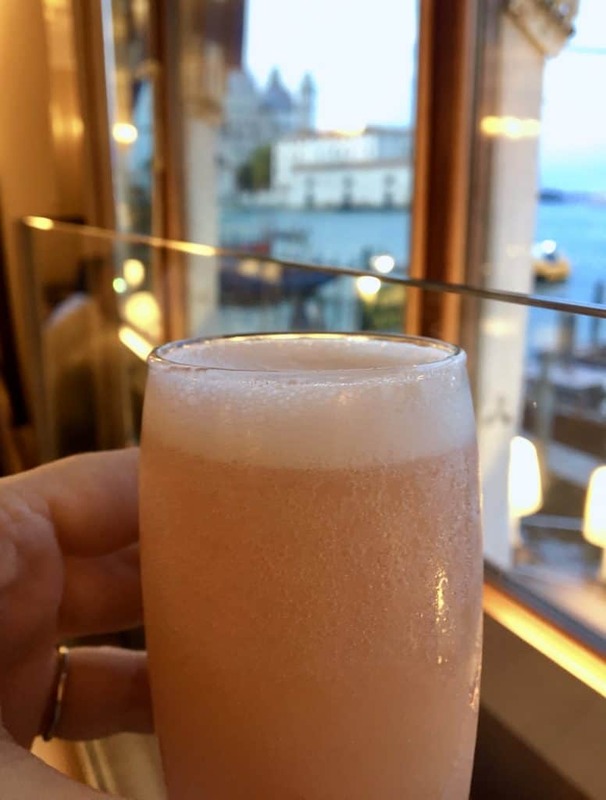 We were all welcomed at Hotel Palazzina with a glass of Valdo Prosecco upon our arrival. Well, except for baby Cayson! 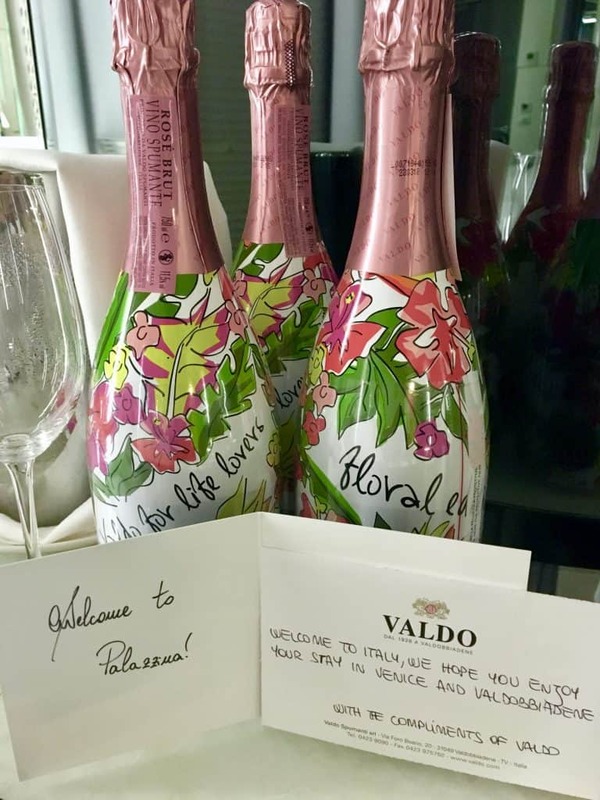 And look at what greeted us in our room: special edition bottles that say, “Valdo for Life Lovers”! Our room was very small, but had a large bathroom. We had breakfast here each morning. It’s also the bar area. Lovely place to decompress. 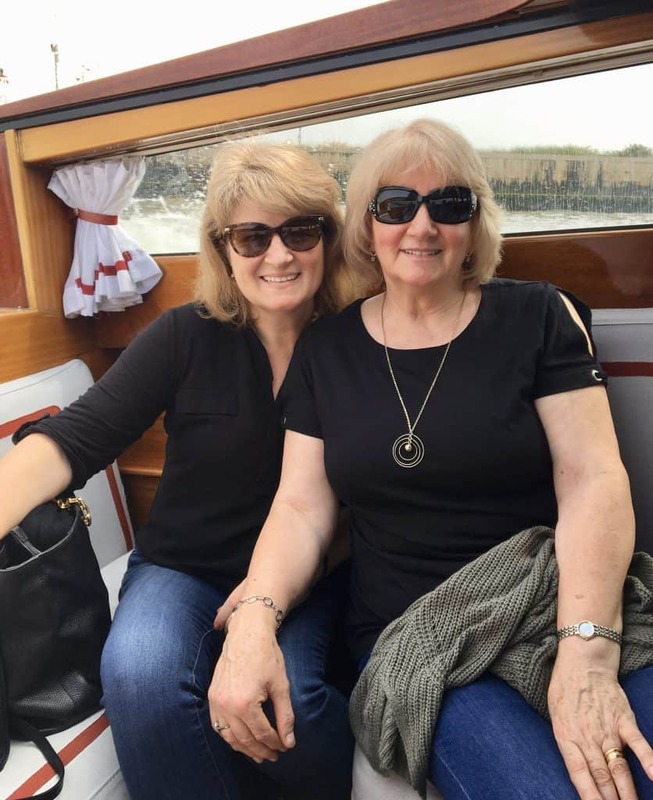 Mum and I didn’t sleep on the plane (which is a good thing on a long flight as the risk of DVT is higher), so we took a very short nap, then headed out into the sunshine to try to adjust to the new time zone. In retrospect, we probably should have flown in a day earlier to adjust as we completely forgot to eat breakfast and lunch that first day! Don’t even ask–I wouldn’t believe it myself if I hadn’t done it! 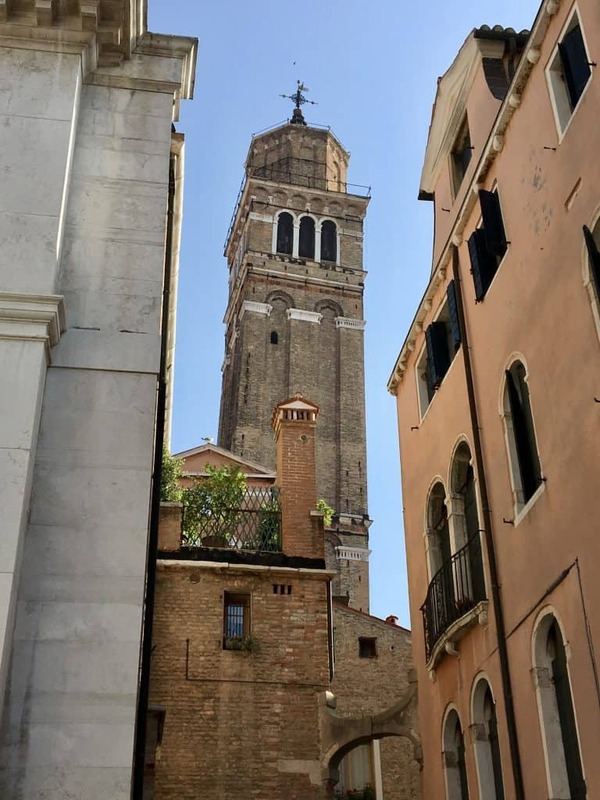 Later that afternoon, Valdo had arranged a walking tour for us to learn more about the amazing city of Venice. Our guide was so knowledgeable and took us on a fantastic tour. We didn’t even get lost, once! If you’ve been to Venice, you’ll understand. It’s almost impossible not to get lost at some point. 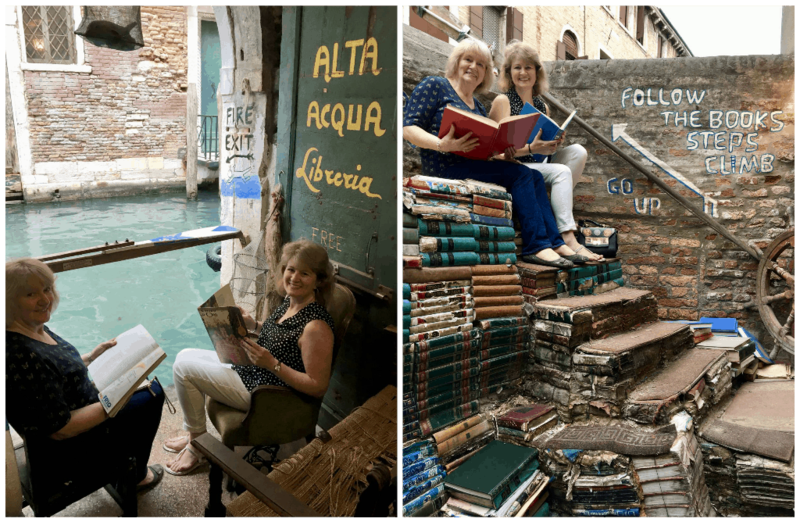 We were told about the history of the city, current feelings of the newest generation of Venetians, and taken to some absolute hidden gems like this old bookstore! Of course, we also visited St. Mark’s Square. Our first dinner was at Harry’s Bar, home of the famous Bellini cocktail! If you haven’t heard of Harry’s Bar, I’m surprised as it’s one of the most well-known bars in the world (if not the most well-known). 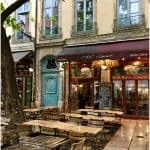 It has a colorful history: from its beginning to its most famous patrons over the years, including Ernest Hemingway, Charlie Chaplin and Alfred Hitchcock. I’m going to be completely honest: because of this famous reputation, I really didn’t have very high expectations regarding the quality of the food and what we’d be served. However, I was very wrong: this was my favorite of the three restaurants we went to in Venice. The service was top notch here, too; professional, yet very friendly and fun! We had a lovely evening at Harry’s Bar. 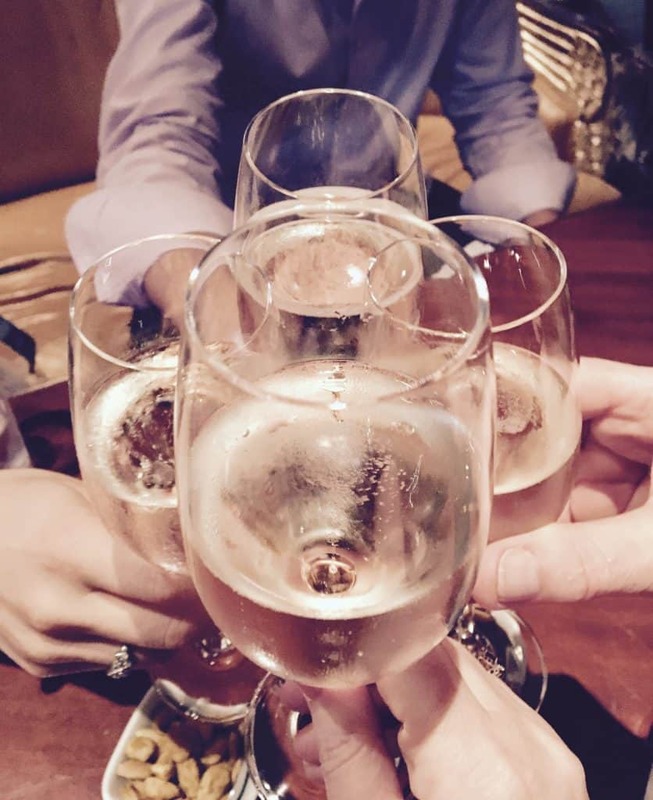 Of course, our glasses were always filled with Valdo Prosecco! Note: don’t expect a fancy restaurant, in fact, I couldn’t believe how plain it was inside. I had the squid ink risotto: marvelous! Chloe and Mum preferred the risotto primavera, but both were cooked to perfection. 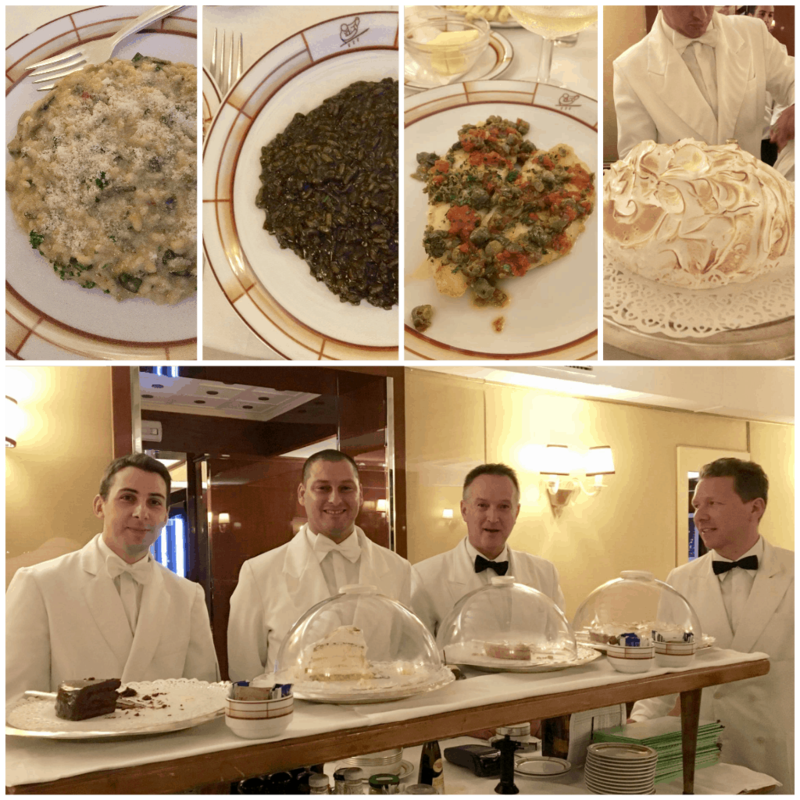 We had a lovely John Dory topped with tomato and capers, and then dessert: oh my! All of us were full, but we were served a rather large slice of this meringue topped cake which was simply heavenly! So simple, too. I hope I can recreate this one for you! Early the next morning, we were picked up at our hotel by water taxi. 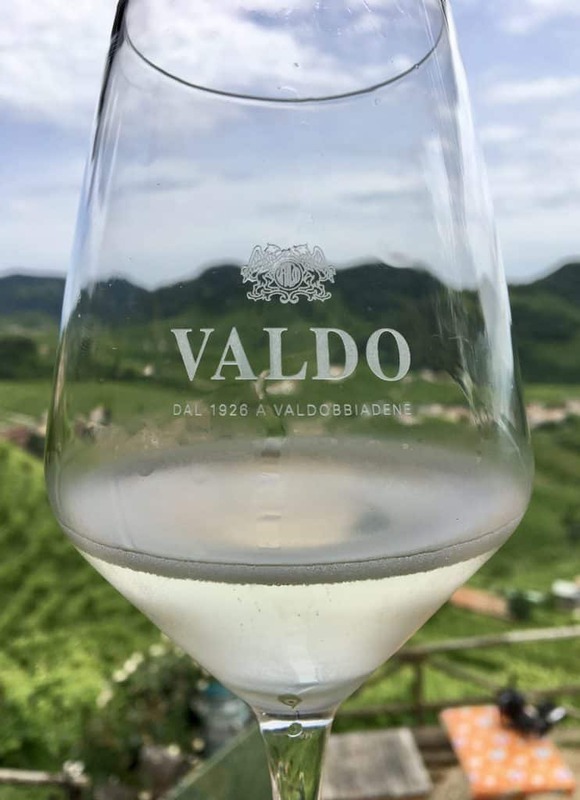 We were off to visit the Valdo winery and Valdobbiadene, the home of the best Prosecco sparkling wine. (Full post to follow.) 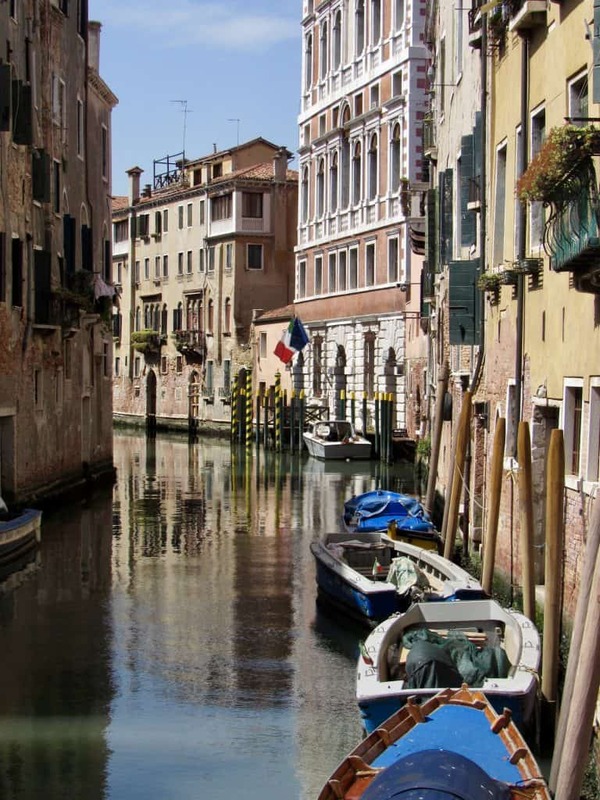 Suffice it to say that it will be a day to remember, and if you are going to Venice, I’d highly recommend taking a day out to visit this area. When we returned from Valdobbiadene, we had a some time before our dinner reservation at La Terraza at Hotel Daniele. It just so happened that my friend, Janice, from Farmersgirl Kitchen, was also in Venice. 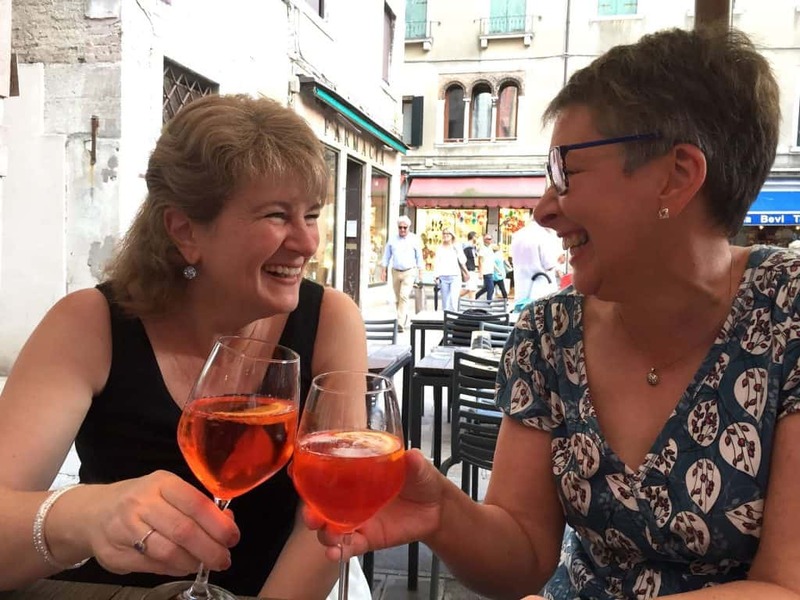 We met for a drink, and I’m happy to say that I introduced her to the famous Aperol Spritz! Dinner at Terrazza Danieli was lovely. It was very leisurely, with a wine pairing with each course. One thing that can’t be beat is the view from this terrace restaurant. We were spoiled with choices. Our meal included risotto, lobster, and of course, more Valdo Prosecco. 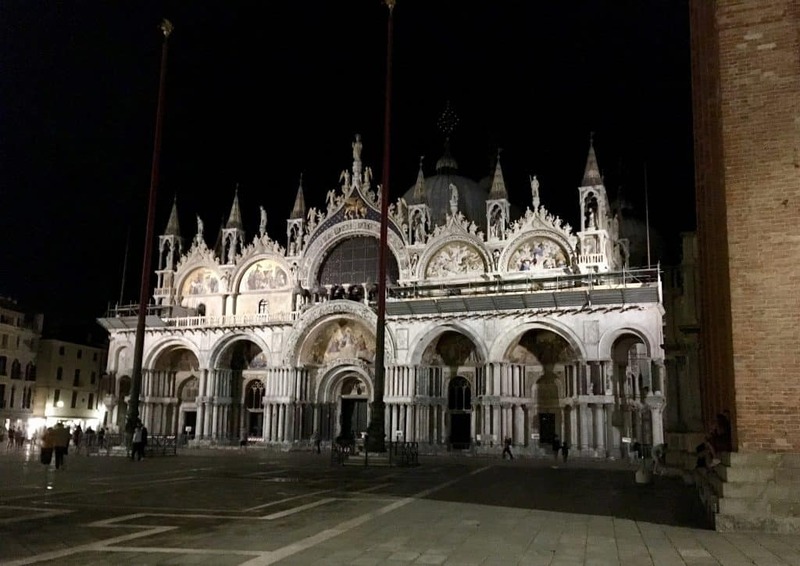 Venice is almost more enjoyable at night. It’s obviously much more peaceful and calm. Our third and final day in Venice was at our leisure. We did part of a tour, but it didn’t end up being something I could recommend to you. Consequently, I won’t be sharing it here. 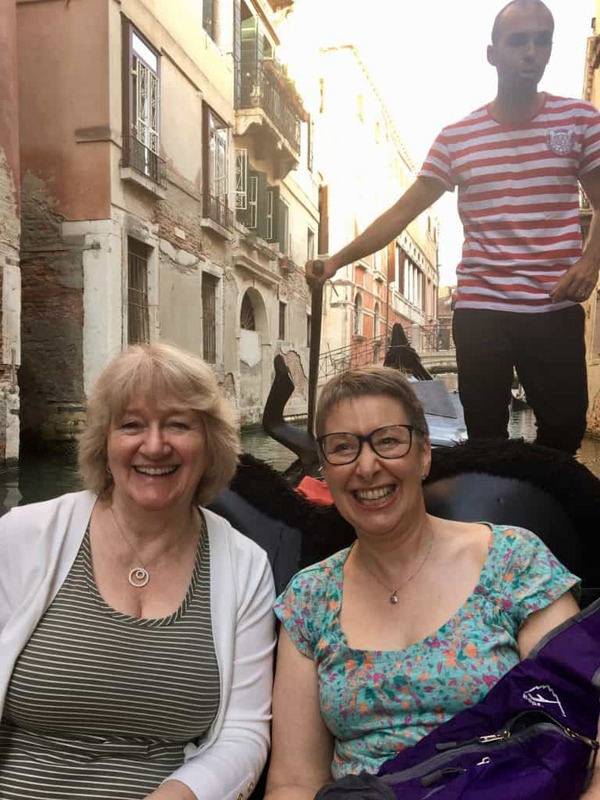 Mum and I toured Venice on our own for a few hours, then went back to the hotel to relax before preparing for dinner that evening. I will add that the last time I had been in Venice was in 1990 on our honeymoon. I honestly wasn’t that impressed. Given all the stories I’d been reading about the crowds from cruise ships and unruly tourists in Venice, I was a little concerned about what I’d find on my return trip. I pictured hordes of tourists, and cramped streets, but it wasn’t that way at all. Yes, near the Rialto Bridge and the more touristy spots, there were more throngs of tourists, but did we get lucky? Were we there when there weren’t any cruise ships? Are there even days when this happens? I don’t know, but I felt more congested and stressed in Florence last year than I did here in Venice. I’d happily return. About an hour and a half before our dinner reservation, I decided I wanted to take a gondola ride. It was very spur of the moment, but I took a chance and contacted Janice to see if she and her husband, Brian, wanted to join us. Fortunately, Janice responded immediately and asked where to meet! What luck! A certain gondolier location had been recommended to us, so that’s where we went. 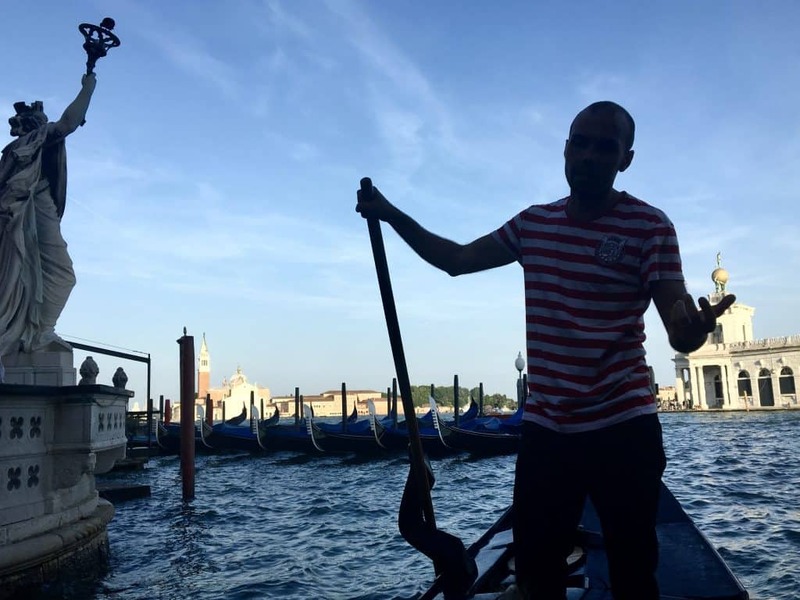 It was a wonderful experience, especially since our gondolier, Fabio, was so amicable! On the Grand Canal on a gondola. 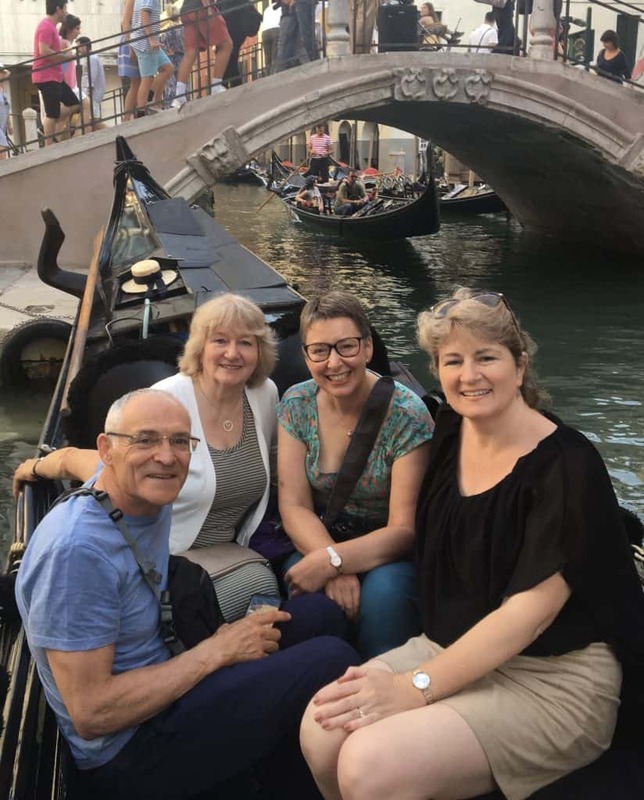 Certainly, I would recommend taking a gondola ride, but it’s even more fun, and less expensive, if you share the experience with friends! 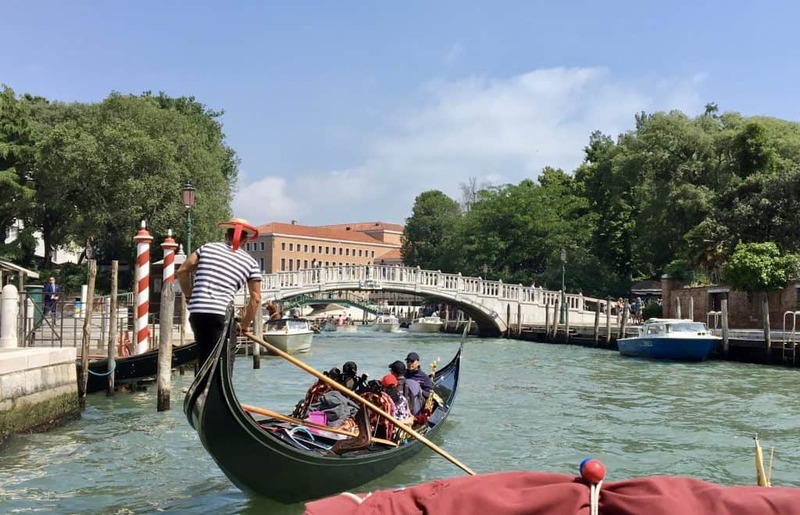 Photo credit: Fabio, our fabulous gondolier! 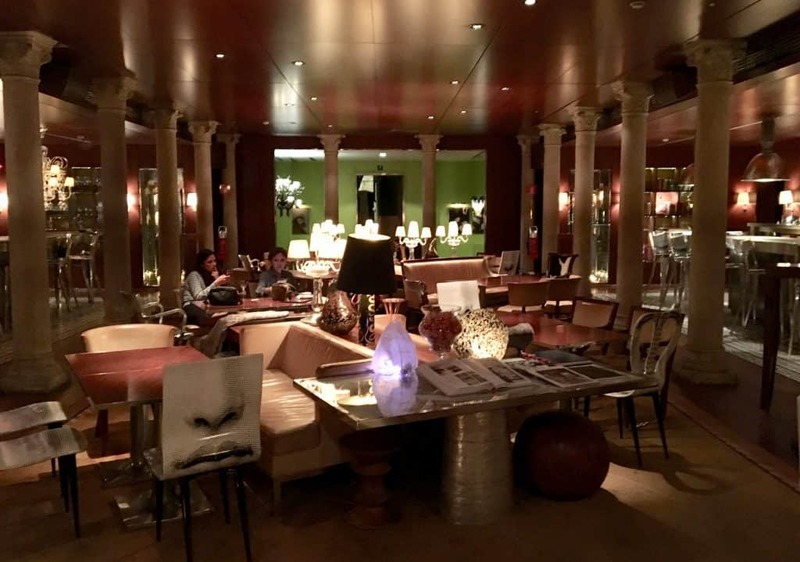 Our last evening’s dinner was at Il Ridotto which has been awarded a Michelin star each year since 2013. This is a family run restaurant with Chef Gianni Bonnacorsi and his son Nicolò. With only 9 tables, it was an intimate atmosphere, and the service was very attentive. We began our meal with Valdo Prosecco (surprise)! I wish someone would appear and pour me a glass of Valdo Prosecco every night! It was difficult to get good photos due to the lighting, so please excuse the the poor quality of the following shots. We started with a single baby artichoke which was so artfully prepared with strawberries, and so incredibly decadent that I must admit, I really would have loved another one (or two)! 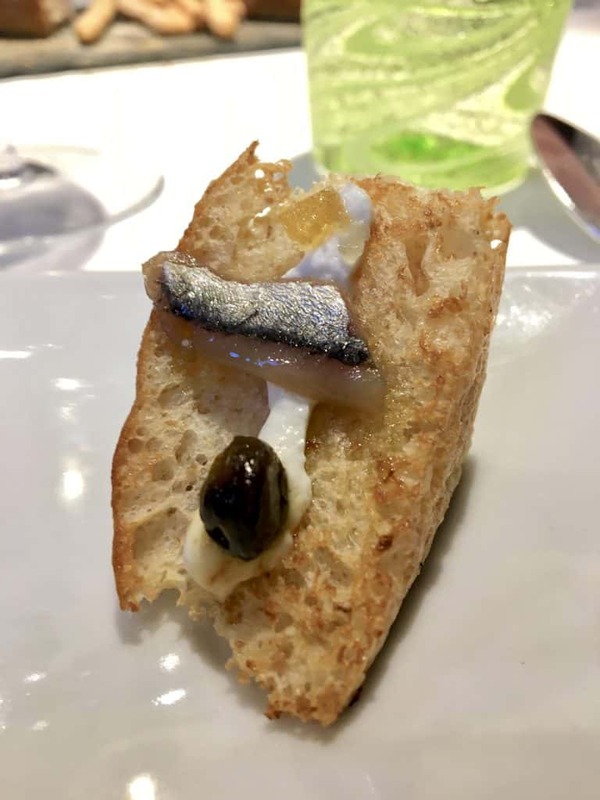 Next came focaccia with goat cheese, anchovy and caper, mussel in creme brulee, and millefoglie with cod, all beautifully styled on a long plate. 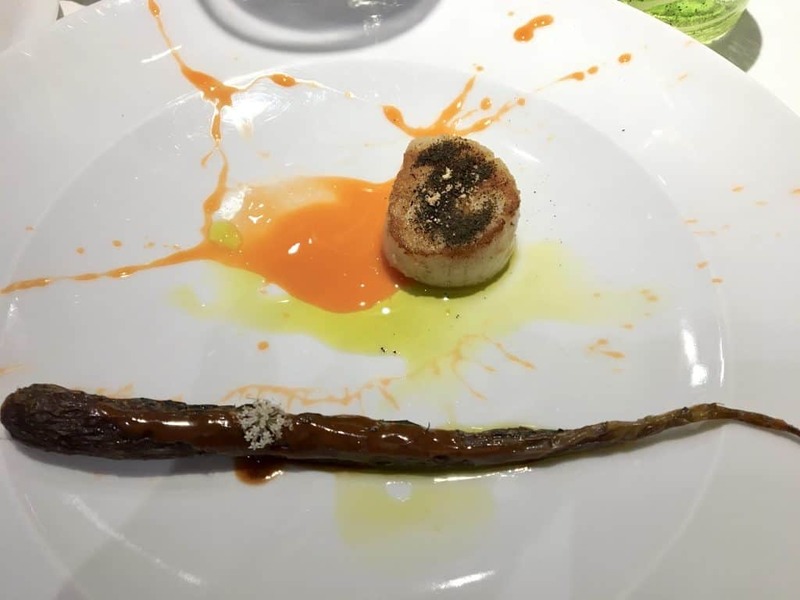 Carrot, scallop and smoked black tea was one of my favorites as the scallop simply melted in my mouth. Other dishes included a fresh greens risotto which I truly enjoyed, except for one flavor that escaped me (and no, it wasn’t cilantro). I had to take a photo of Caleb’s steak tartare which looked beautiful. I chose the pork belly as my main course which was sublime. The bay leaf ice cream with candied olives and strawberries was the only dish that we all agreed we could skip. The bay flavor was simply too strong. However, our wait staff was so lovely that they replaced our dessert. We were served a ricotta cream (like gelato) with pistachio, and an orange hot chocolate drizzle. Now that was a winner! 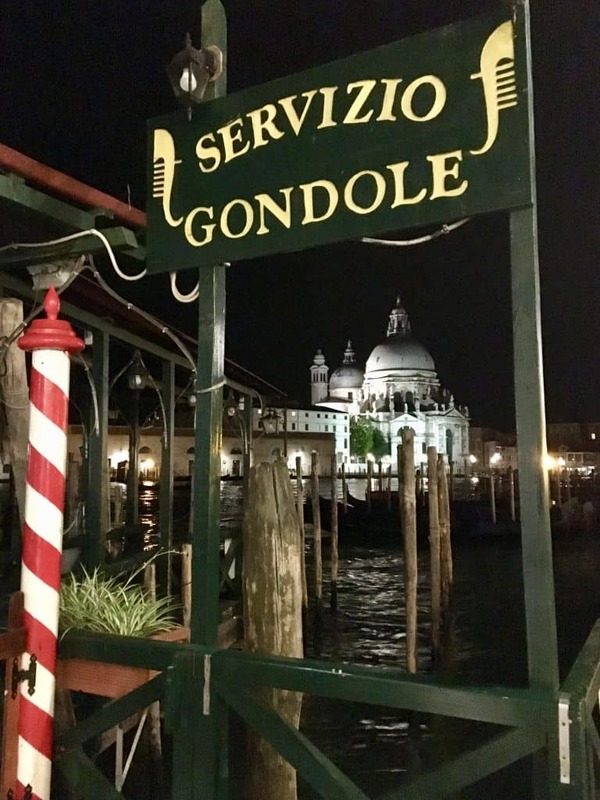 It was a lovely meal and evening to end our trip to Venice, thanks to Valdo! Walking back to our hotel, we had a final night view of St. Mark’s Cathedral where we went back to the next morning for mass. 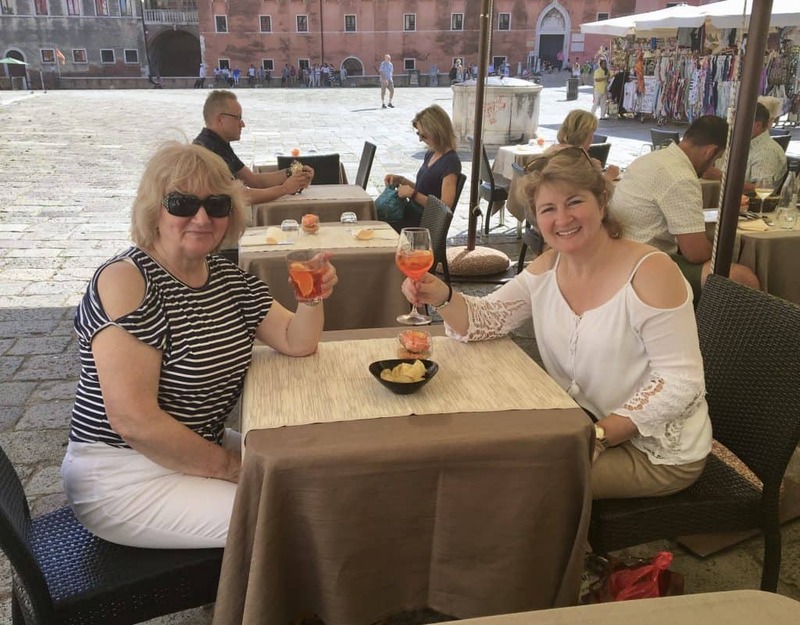 Chloe and her family were heading south to Sorrento by train, but Mum and I were renting a car and were going to be spending a night on Lake Garda. Once again, I didn’t tell my mother where we were going. I just like surprising her! 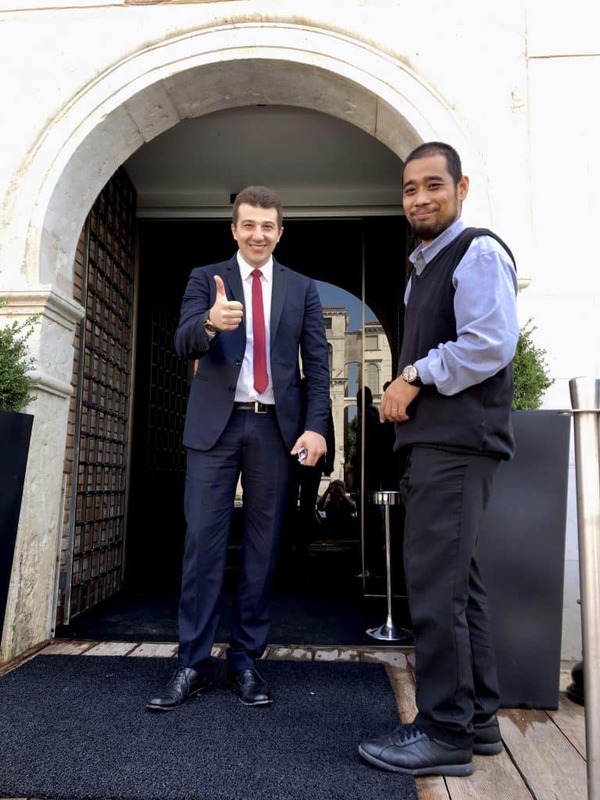 We were given a personal send off by Palazzina’s manager; maybe he was happy to see us leave? Ha ha! The water taxi took us to the train station where our rental car was waiting for us. I couldn’t resist one last gondola shot, though. 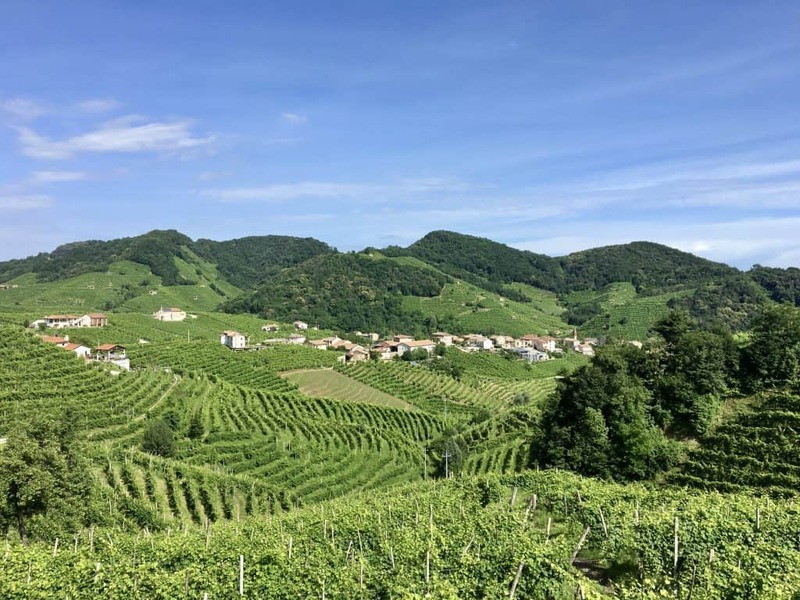 Continue with our exceptional day trip to Valdobbiadene! 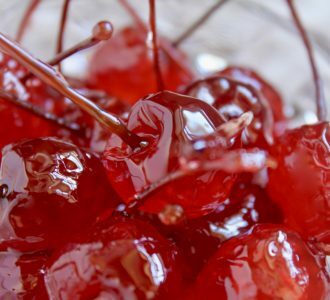 You’re going to want to put it on your bucket list, trust me. 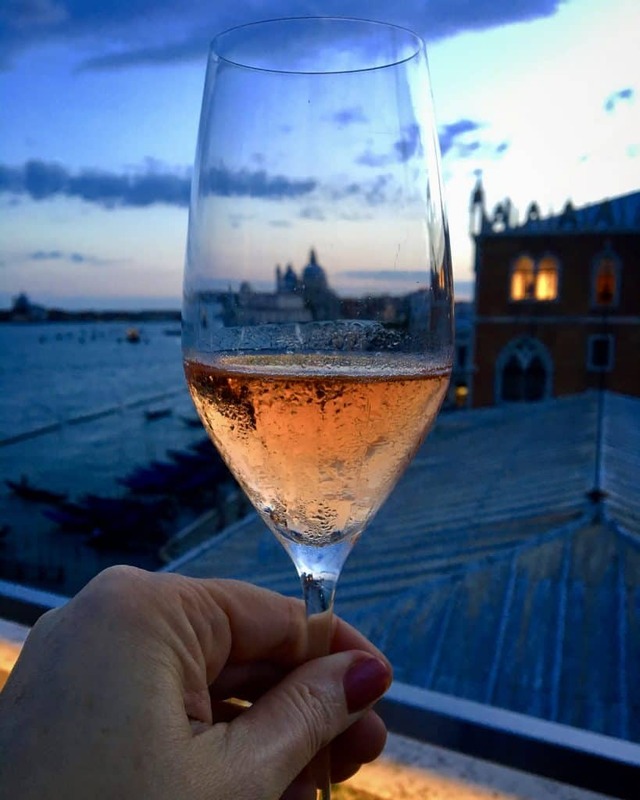 Thanks again to Valdo Prosecco for holding this contest and choosing my photo as one of the winners! 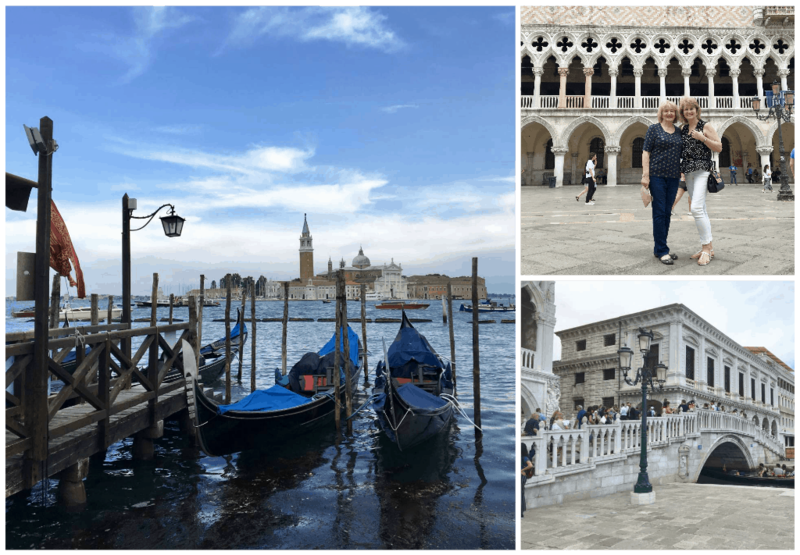 My mother and I will never forget our time in Venice! 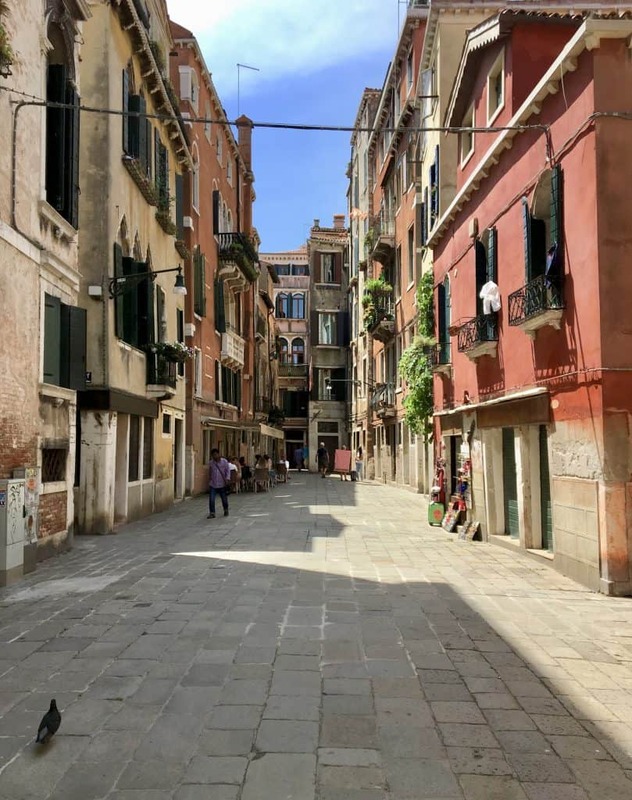 What’s your experience with Venice? Have you been recently? How did you find it? Pleasantly surprised as I was, or deeply disappointed or somewhere in between? Let me know in the comments below. NB: I won this trip and am under no obligation to share any of this trip or information with you. I simply choose to do so because my site is about sharing my experiences, and places and products that I love, in hopes that you will too. Just wonderful! 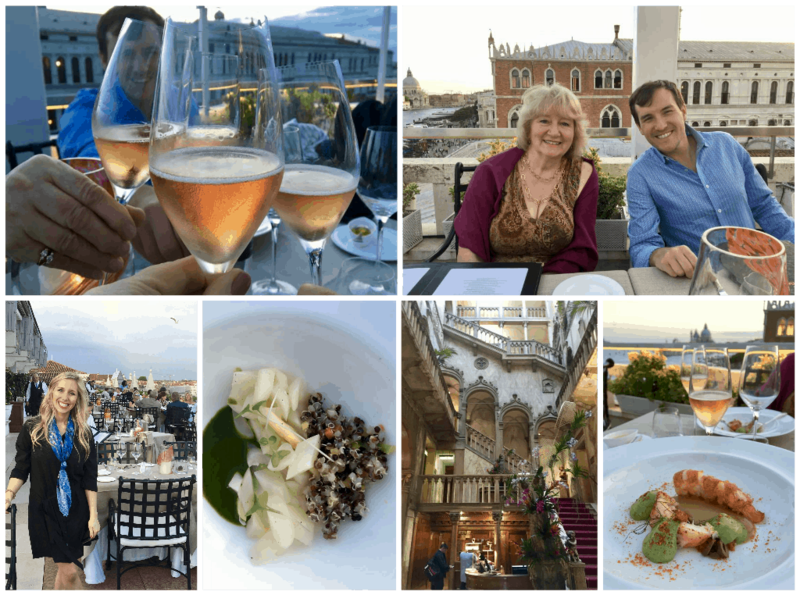 The food, the architecture, the smiling faces, water everywhere… And those magnificent views from the terrace of the Danieli. Wow! 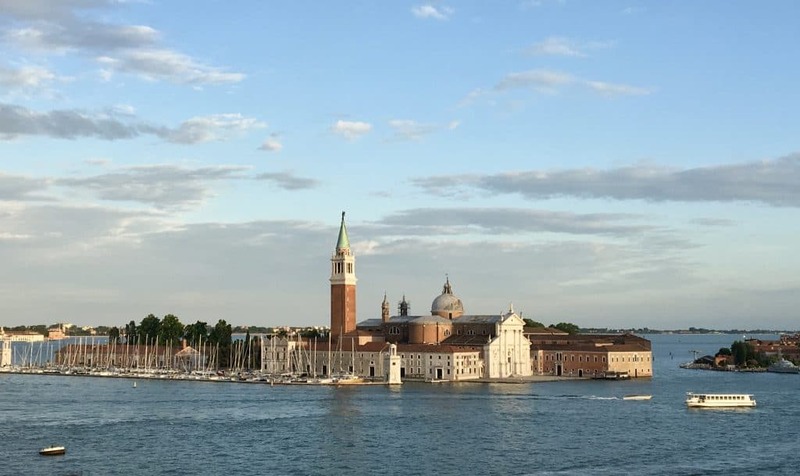 The overwhelming tourism notwithstanding, Venice may be my favorite city in Italy. I used to go there as often as I could manage. Just the fact there are no cars was miraculous living in traffic-clogged Rome. And take a few steps off the beaten path and you can escape the crowds and find yourself in a silent, lonely “calle”. I had a chuckle when you mentioned introducing Aperol Spritz to a friend. I didn’t realize there was anyone left who hadn’t tried one at this point. ;-) But then again, for all the times I’ve been to Venice, I’ve never actually taken a gondola ride, either! You’d be surprised! I’ve introduced no less than 8 people to their first Aperol Spritz this summer! I called my local liquor store to see if they had it and the guy had no clue what I was talking about. Wow, Christina! What a bumper of a Viva Venice post. Adore ALL of your stunning photos and great to see your Mum – and even bumping into Janice – here too. 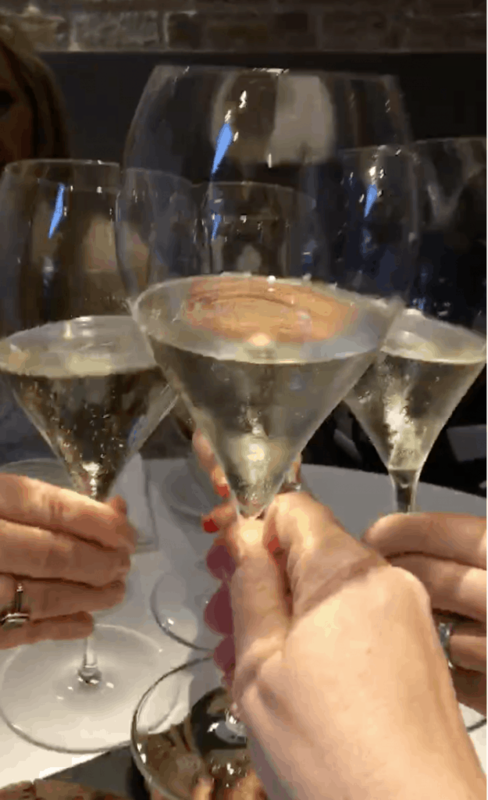 That was quite some trip – how wonderful to be spent around Prosecco! Now you have me hankering to return to Venice again this year! I know it is a LOOONG post with so many photos, but Venice is just so photogenic! I hope you’re able to return again, it’s so close for you! 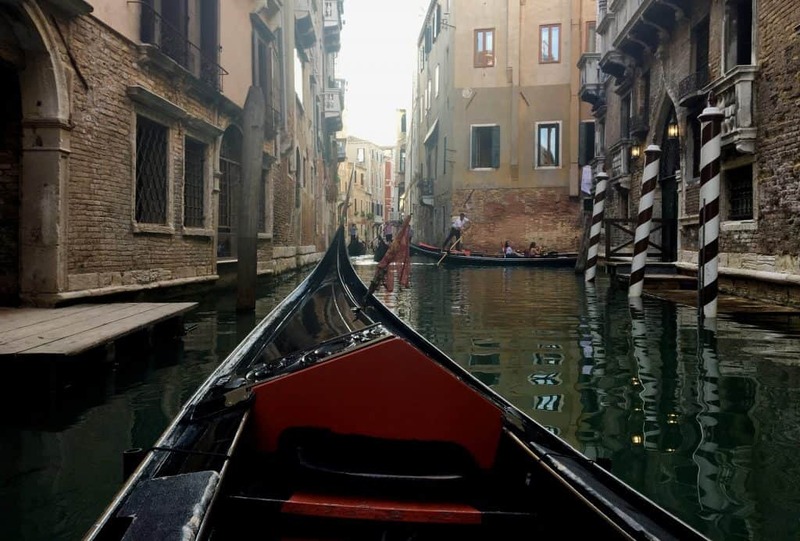 I’ve only been to Venice once and it was years ago, I loved it there, and your post is making me want to go back. 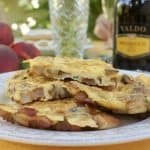 The food, the sites, the Valdo Prosecco — I want all of it! I remember seeing your winning photo and having a very strong hunch you would win! 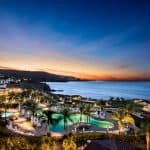 Beautiful photos and travels! You’re so kind, Valentina! I hope you are able to return to Venice and the area sometime in the near future! Definitely worth going back to visit. Your good looks, and your mother’s, are obscured by those sunglasses. Lose ’em! 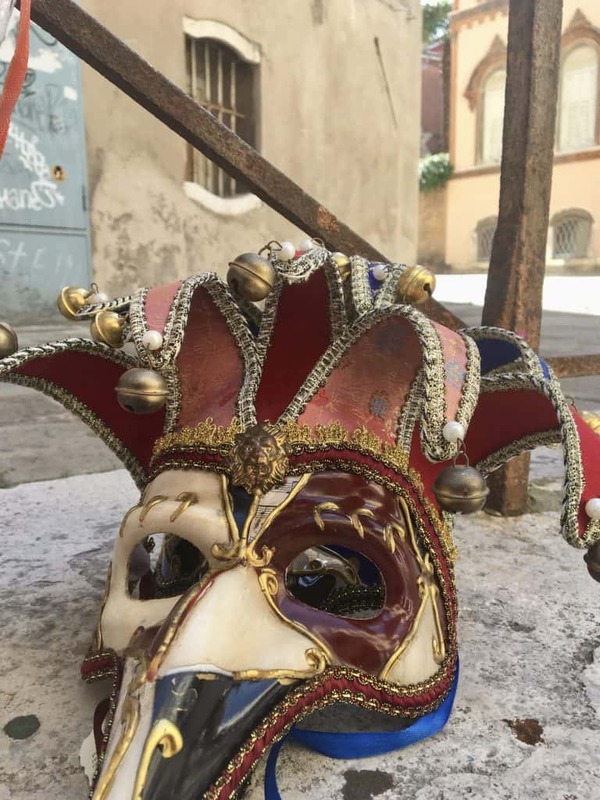 I love your photos – it reminded me of my own visit to Venice, which is what made this post so fun to read! What a fabulous trip. Your gorgeous shots are so inviting. Those meals, oh my, what a treat! Thanks, Cathy! It was truly a fabulous trip! WOW! first of all, congratulations – that’s one cool trip to win! Looks like it was all fun – and what a neat experience for you and your mom. I’m glad you took the gondola – our guy sang, and it was magical. Usually we dont do “touristy” stuff. In fact, I wasn’t sure I’d love Venice, but I definitely did. 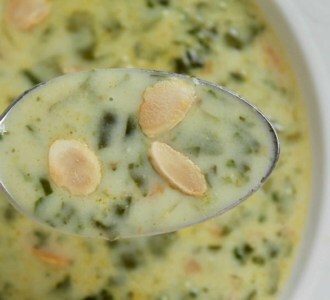 I recently posted on a drink called Sgroppino – did you happen to have one? They typically serve it after a meal there. Anyway, it was a fun post to read, and great photos. Darn it! No, I didn’t have one, but I’ve heard of them and wanted to taste one! 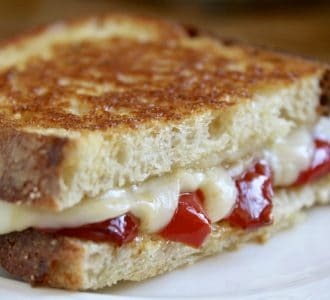 I didn’t ever see it on a menu or I would have ordered one. Yes, I agree, Venice hooked me, too! Thanks for reminding me about the Sgroppini! Next time! We will be going to Italy for the first time in September. 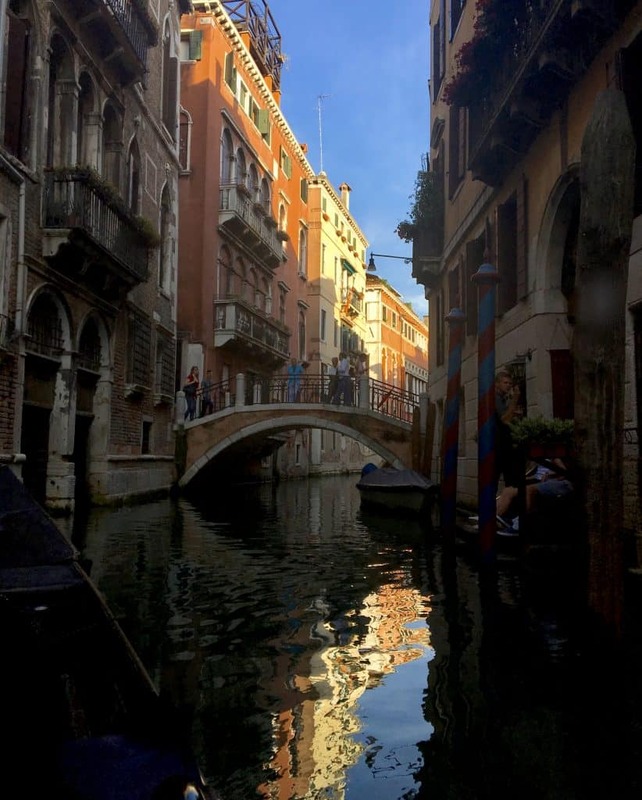 Your beautiful pictures of Venice are so inspiring! Cannot wait to try and follow in your footsteps, Christina! Thank you, Sue! I am SOOOOO incredibly excited for you! I can’t wait to hear what you think of Italy!! Sounds like you had an incredible time. 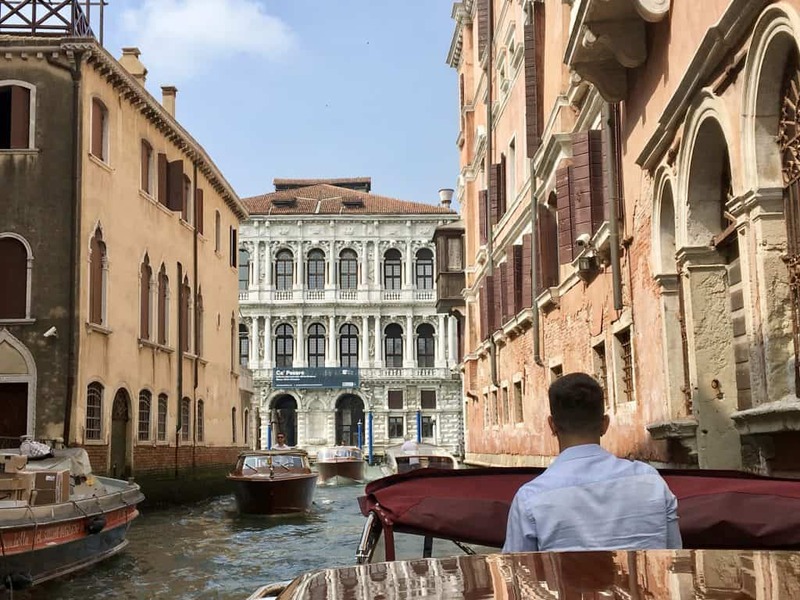 Venice is my favorite city in Italy, I’m glad to know that it is still charming. I love your iconic gondola shot! (Thank you for sharing your fabulous bottles of prosecco with me in Como! Now I want to go back again! It would be lovely to just take the same trip all over again, wouldn’t it?! 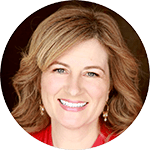 Cristina – I am so happy you were able to get this post up finally! When you said you were having problems with it on Facebook, I was sad – because I know you have so many incredible photographs! When Mark and I were there five years ago, we felt exactly the same way about Harry’s bar! We expected to be overpriced and unremarkable in terms of the food, but I’m just the opposite! Yes, it is simple inside, but the food is excellent! Thank you for sharing your good fortune with us! 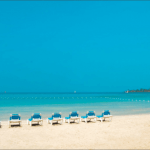 Beautiful photos – wonderful memories! Oops – sorry I missed the H in Christina! Darned iPad!! Oh David, I’ve had SOOO many technical issues this year! Not happy with my email company as it seems they are one of my biggest headaches. Finally did get it sent, though, and so glad you liked it. That’s too funny! I wonder if my iPad automatically changes to Cristina because my eponymous friend is in my phone book? Anyway I mostly think of you as Italian, even though I am 25% Scottish, too! 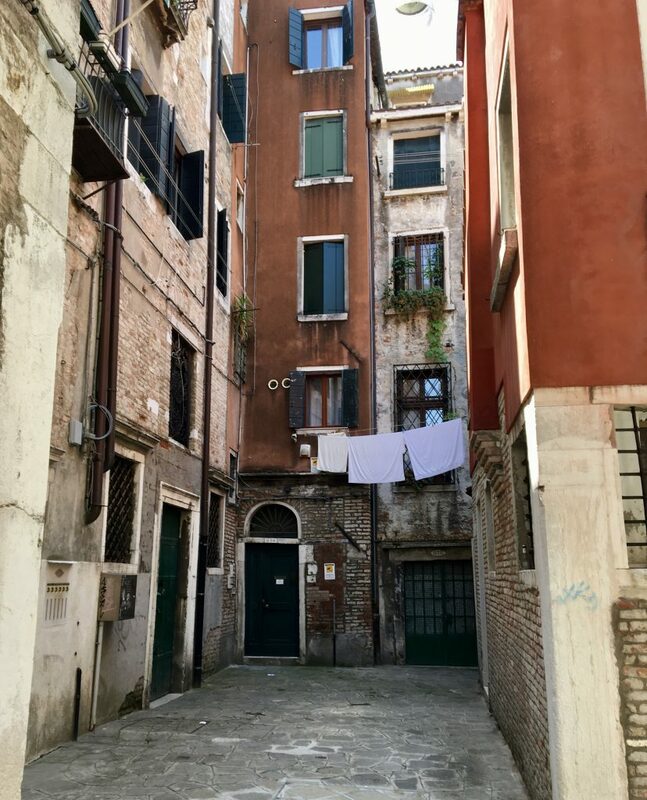 I found more special little places in Venice than (I think) anywhere else in Italy. It’s as if the Venetians planned it that way! Didn’t you know, David? I’m actually Italian on both sides; I was only born in Scotland (I’m kind of like St Patrick)! :) haha! I can’t wait to return to Venice again! It’s a gem! I want to run there now. Oh I can imagine the paintings you could do there, Carol!! Have you been? I love Venice, been twice and while I won’t be back for awhile, it is an amazing city that I hope people cautiously visit. 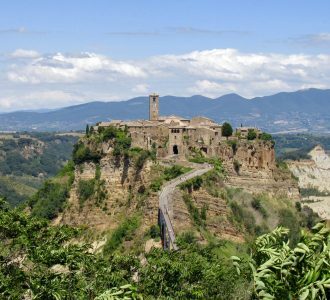 The best thing is getting lost, drinking prosecco and spritz’s all day! I can’t get enough of wandering around and just soaking it in: the buildings, the history, the waterbus – all of it! Not only are you a phenomenal chef and travel writer, but your photography (if you do your own) is exquisite. For those of us who do armchair adventures, you take us to places of our dreams. 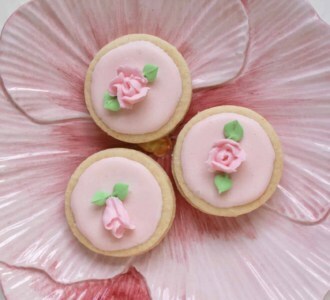 Until we can visit them ourselves, it’s lovely to have your website to salivate over the goodies (and attempt to make them) and local haunts. 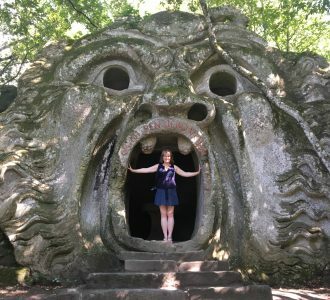 Thank you for “taking” me to Italy once again as it’s my dream to get there!